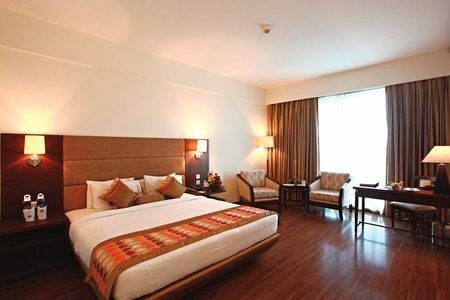 Reserve your stay in the heart of Amritsar at the Country Inn & Suites® by Radisson, Amritsar, located on Queens Road only one and a half kilometres from the Golden Temple and one kilometre from Amritsar Junction. 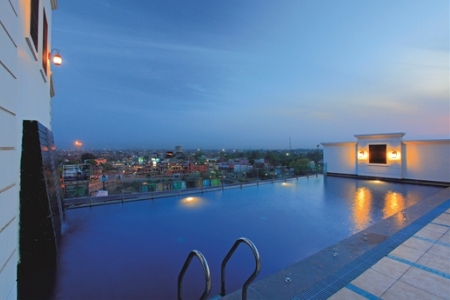 Featuring a beautiful rooftop pool, four on-site restaurants and a fitness centre with a sauna, the hotel is ideal for vacationing families and business travellers alike. Connect your laptop using on-site Wi-Fi connectivity to get some work done or post pictures of your visit to the Golden Temple. Enjoy a delicious meal of kebabs on the roof, and then relax in your elegantly decorated room to rest up for another day of sightseeing. Before you head out, take advantage of our family-friendly complimentary breakfast, served daily. 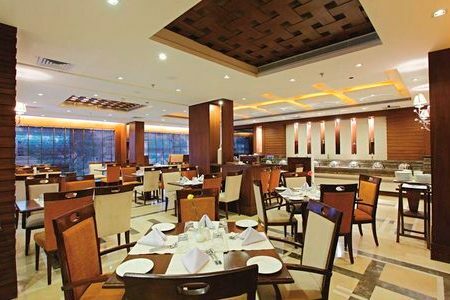 Whether you are looking to indulge in a hearty meal or grab a simple pick-me-up, one of our hotel’s four fine restaurants is sure to have what you crave. From kebabs on the rooftop to midnight snacks in the coffee shop, we offer a range of meal sizes, times and cuisines. Join us for a complimentary breakfast in the morning. Golden Temple – Completed in 1604, Sikhism’s holiest site is open to visitors from all religions and walks of life. Join the more than 100,000 daily pilgrims who flock to the Golden Temple, located less than a 15-minute drive south. Jallianwala Bagh – A 15-minute drive south of the hotel, Jallianwala Bagh is a shrine to Indian freedom. The somber memorial commemorates the massacre that took place there in 1919. Maharaja Ranjit Singh Panorama – Take a quick walk east of our hotel to explore the life and work of this 19th-century Punjab leader. As maharaja during the glory days of the Sikh Empire, Ranjit Singh left a lasting mark on the region’s economics, religion and politics. 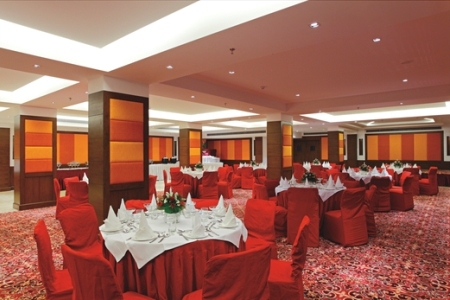 Whether you are hosting a lavish wedding reception for 200 guests or an intimate business meeting of fewer than 20, our hotel offers ideal meeting space. Our audiovisual equipment, dedicated high-speed Internet and professional event staff can help make your event a success.